As advertised on their own web site, today is the last day of operation of the Red Rocket bus link between Blackpool and Manchester until Easter of next year, however in a letter handed out to Classic Bus North West drivers on 20th December, the following statement is made "The Red Rocket and service 80 will cease to operate". 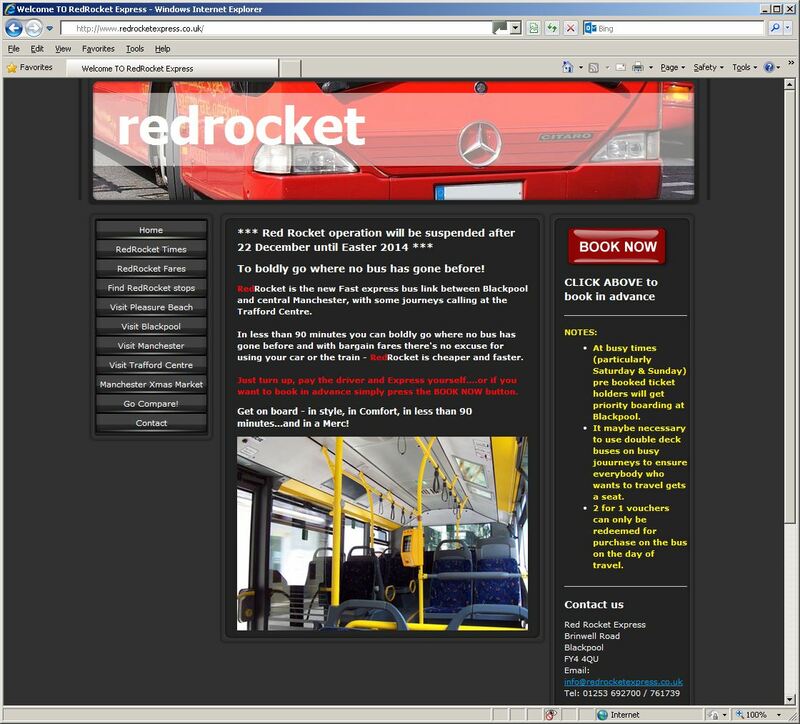 Whether this means that the Red Rocket will cease operation completely, only the fullness of time will tell. What started out initially on 4th October as a service every 90 minutes throughout the day, ended up latterly as more realistic morning and late afternoon services only, either through a lack of vehicles or passengers. The morning runs from Blackpool on the final day of operation were both handled by Mercedes-Benz Citaro bendy buses, MAL53 on the 10:30 departure and MAL41 on the 12:00 service. Further to yesterday's announcement that Classic Bus North West have pulled out of operating the new route 80 between Blackpool and Preston, it has now been officially confirmed that they will cease trading as a company. 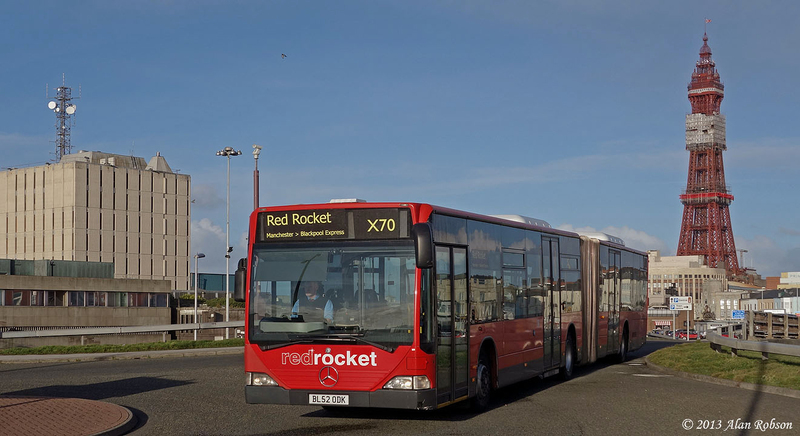 As well as stopping the new route 80 service, the X70 Red Rocket express to Manchester will also cease running after 22nd December. 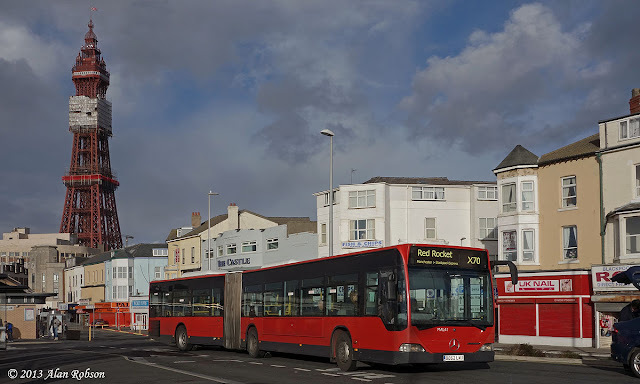 The only route to continue working is the Catch 22 service, which will in future be operated by Oakwood Travel Services Limited. 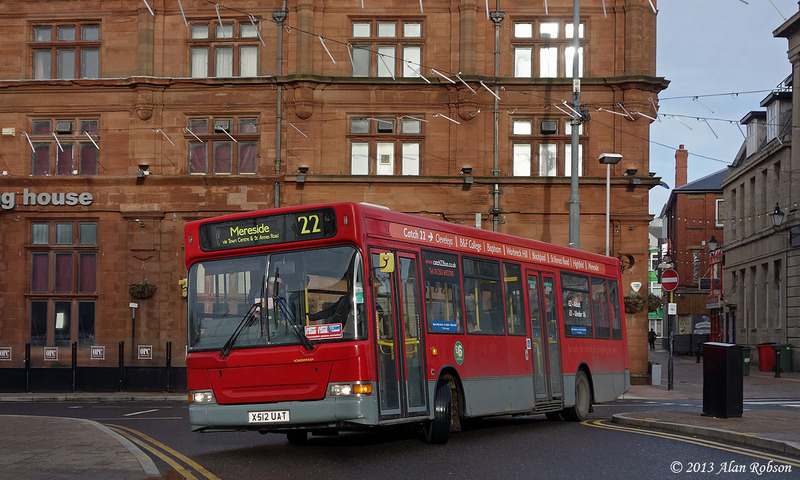 Classic Bus North West informed their drivers on 20th December that many of them will unfortunately be made redundant as a consequence of this decision. 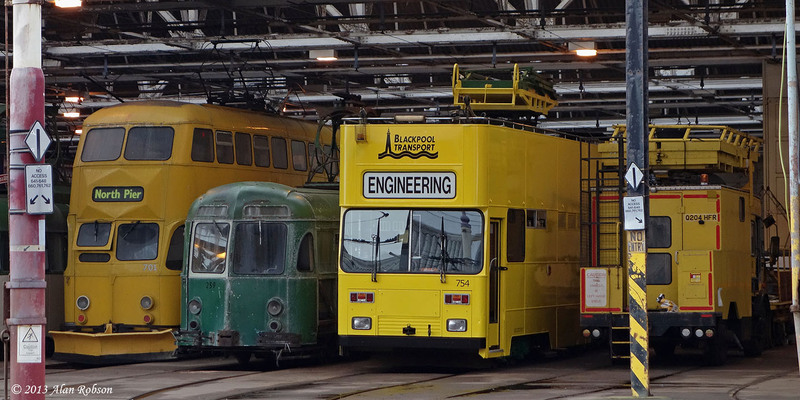 Engineering Car 754 has emerged fresh from its recent repaint and was noted parked in Rigby Road depot today in a new paler shade of yellow than is usually worn by the ancillary vehicles. There was an interesting line-up of engineering vehicles sat at the front of the depot on 21st December, starting with Snowplough 701, former Permanent Way car 259, newly painted Engineering Car 754 and Unimog 938. 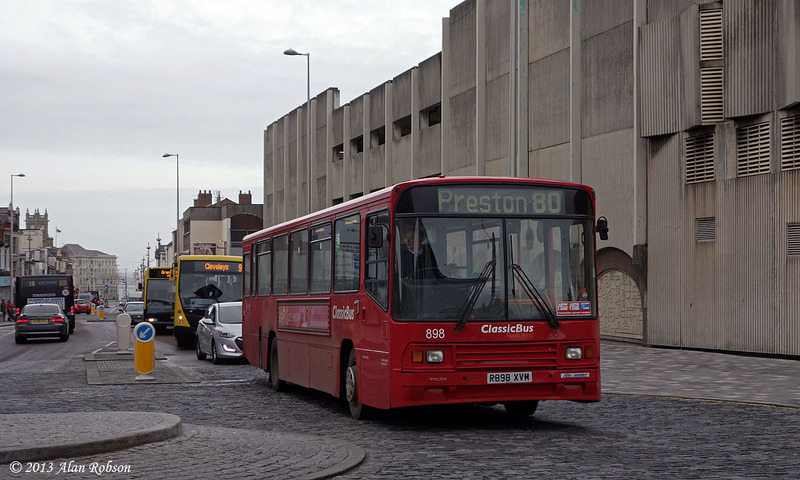 Classic Bus North West in Trouble? 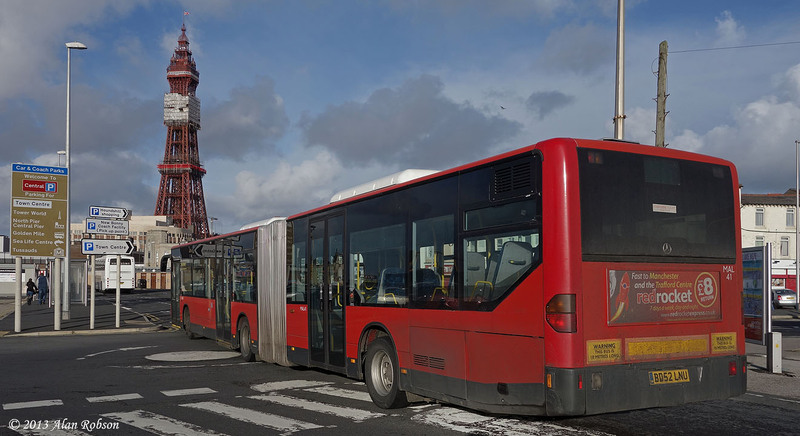 Lancashire County Council has issued the following statement today regarding the new Classic Bus North West operated route 80 which has been running between Blackpool and Preston for two weeks, commencing operations on 9th December. "Classic Bus North West will cease to run its 80 service between Blackpool and Preston via Poulton and Great Eccleston, with effect from the end of today (Friday, 20 December). The service currently runs seven days a week, with the county council subsidising evening and Sunday services between Poulton and Preston. 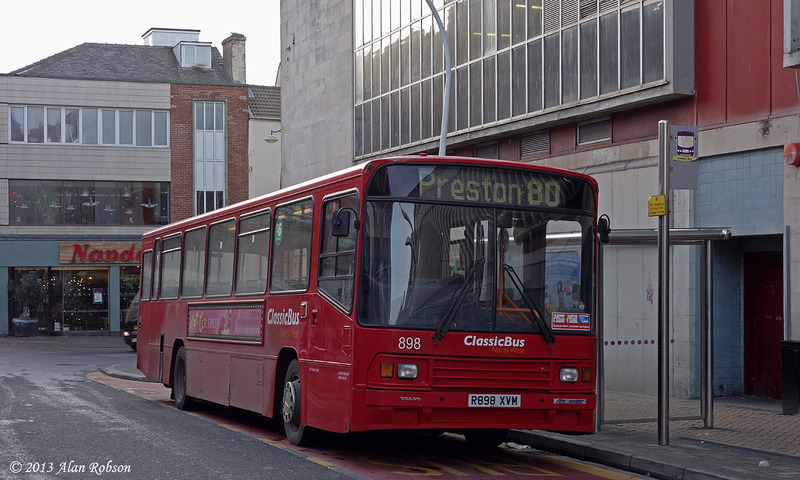 Classic Bus North West has terminated the service without the required 56 days notice to the Traffic Commissioner. They have also broken their contract with Lancashire County Council to provide an evening and Sunday service, which would require 12 week's notice. 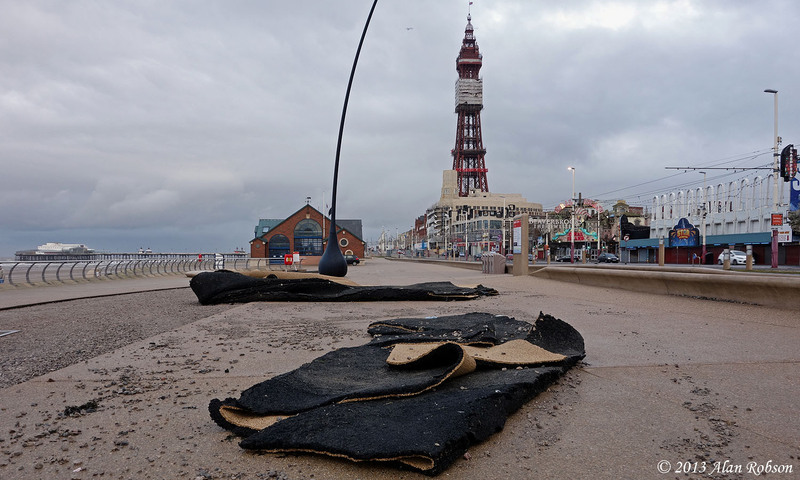 Lancashire County Council will inform the Traffic Commissioner of Classic Bus North West's actions. Lancashire County Council is currently looking into possible options including trying to find out if Classic Bus North West are going into administration and, if so, the identity of the administrators." 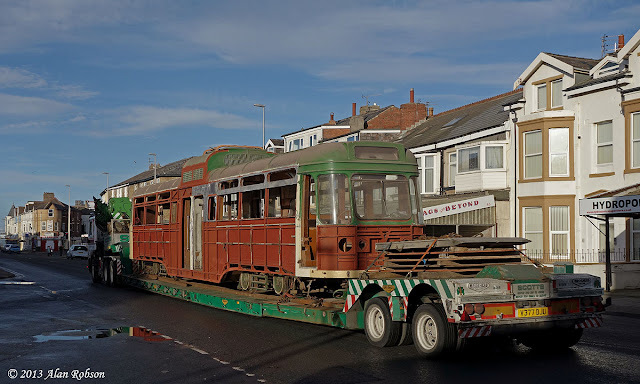 The recent rounds of tramcar movements in Blackpool over the last six months has seen a major expansion in the number of trams that will potentially be available for Heritage Tour duty in the future. 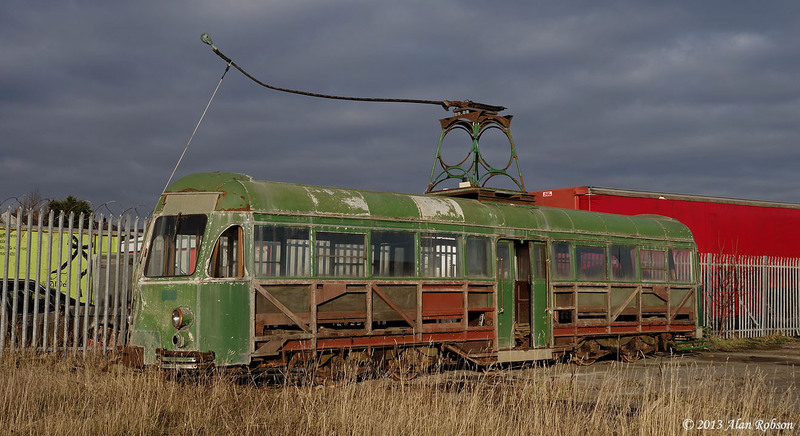 While some of the new arrivals still require a considerable amount of restoration work, and others are currently basket cases (ie former works car 259), some of the arrivals can hopefully be put to use again in the not too distant future. Among the trams that have returned to Rigby Road depot recently are Brush cars 632 & 259, Coronations 304 & 663, Balloon 715, English Electric Railcoach 279 (679), OMO car 8 and Standard 143, all these trams should eventually be joining the operational heritage car fleet. 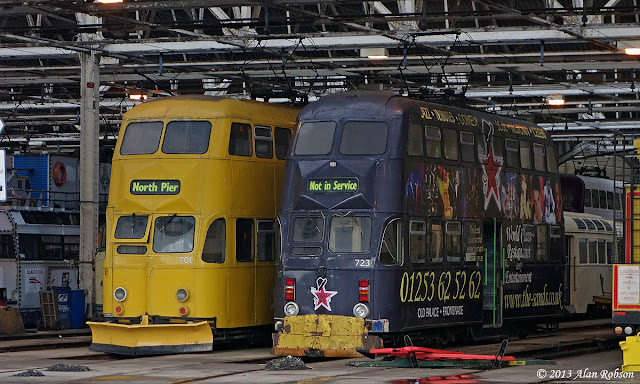 Brush car 622 and Jubilee 761 are currently being stored for their owners, and are not destined to join the heritage fleet. 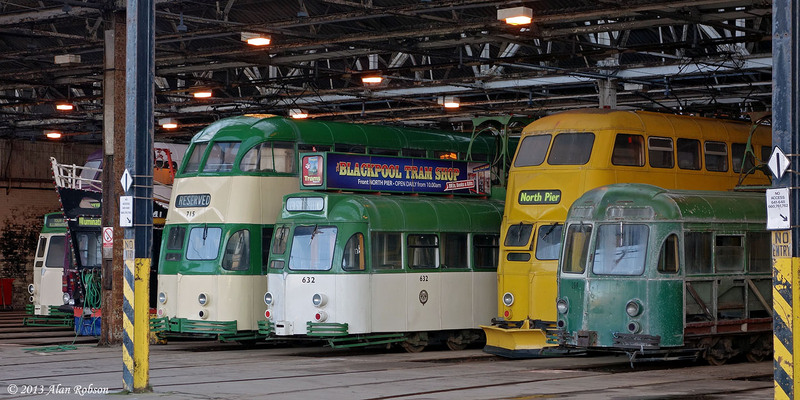 See this full fleet list for a more detailed breakdown of all the heritage trams that are currently at Blackpool. 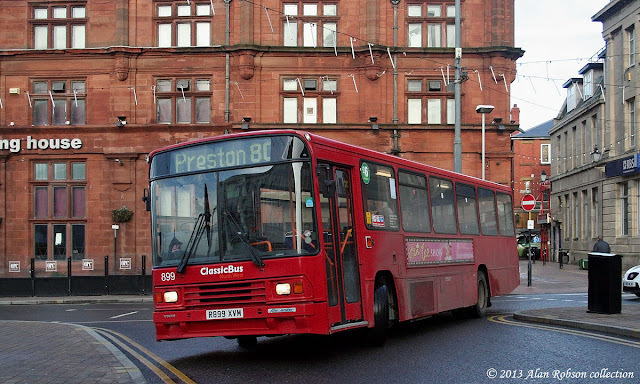 On 9th December Classic Bus North West began operating a new service, route 80, which runs between Blackpool and Preston. 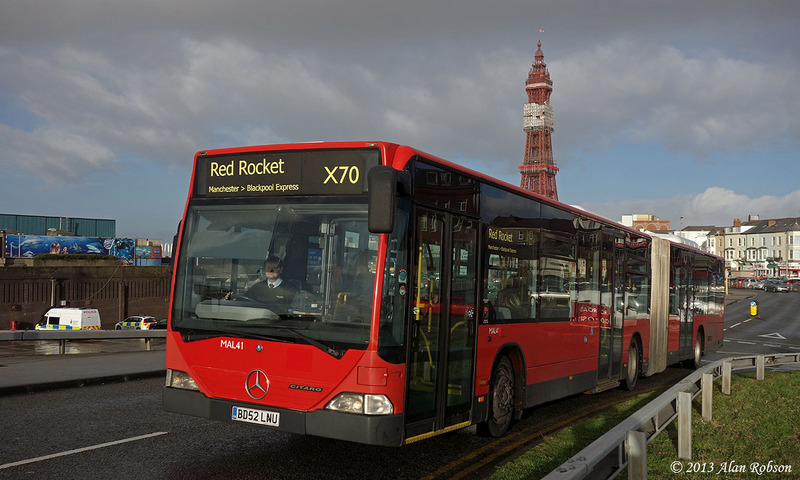 The new service starts from Corporation Street in Blackpool and operates via Victoria Hospital, Hardhorn, Poulton, Great Eccleston, Elswick, Inskip, Cottam and Ashton. The service runs hourly in each direction on a Monday to Saturday daytime basis, between Blackpool and Preston. Lancashire County Council will continue to support the two hourly Monday to Saturday evening and Sunday service between Poulton and Preston. 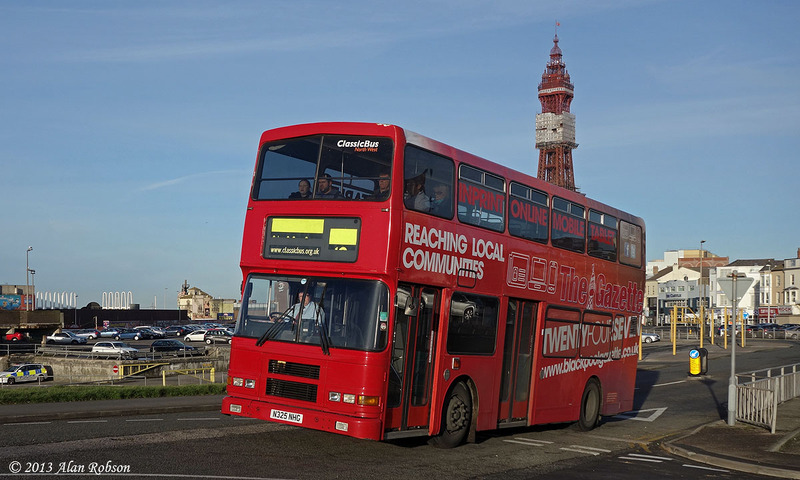 Classic Bus North West will extend these subsidised journeys through to Blackpool on a commercial basis, whilst future funding decisions are made, offering an initial seven day a week service throughout the whole route. Blackpool Jubilee car 761, which is owned by the Fleetwood Heritage Leisure Trust, was finally moved from the open storage yard in Fleetwood where it has sat since 2011, and it is now securely dry stored in Rigby Road tram depot, albeit on a temporary basis. 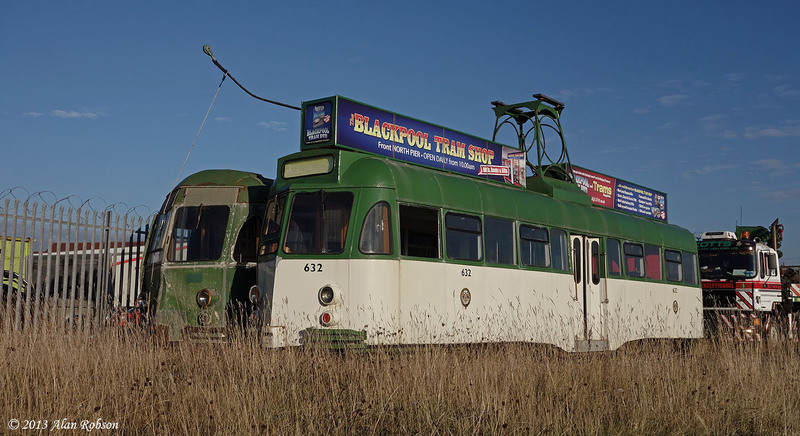 The tram has not been transferred to the heritage fleet, the ownership of it still remains firmly with the Fleetwood trust. 761 cannot be used on heritage tours and will not run while it is stored by the Fleetwood group in Blackpool. 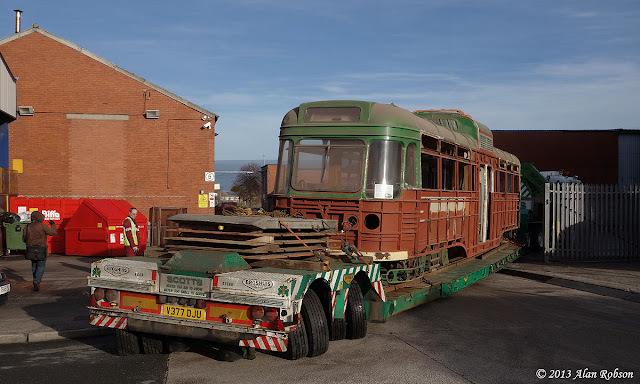 After Scotts Heavy Haulage had unloaded Jubilee 761 in Blundell Street, they then prepared for loading another tram, this time for a much longer journey to Beamish museum in the North East. Former trailer towing car 680, owner by the Heaton Park Tramway group, is departing from storage in Blackpool to spend the winter season on the tramway at Beamish. Before the tram could be loaded, Scotts had to dismantle the loading ramp and shorten the extendable trailer again (it had been stretched for moving the longer Jubilee car from Fleetwood). After the loading ramp had been rebuilt, 680 was loaded under the cover of darkness in preparation for an early morning start for the long trip north to Beamish. 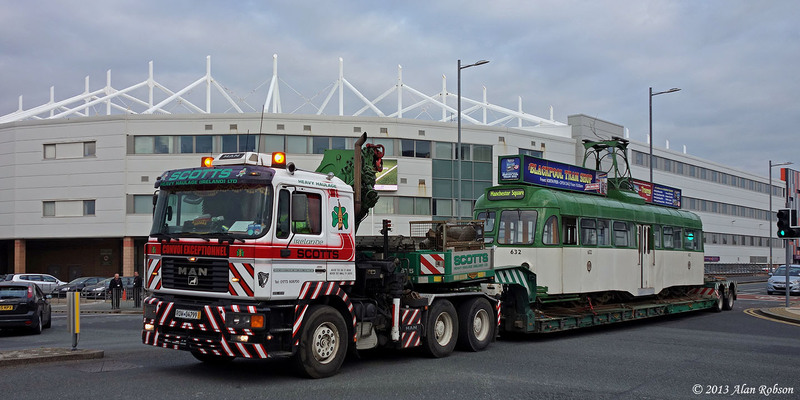 Tuesday 10th December saw a busy day of trams moves for Scotts Heavy Haulage in Blackpool. 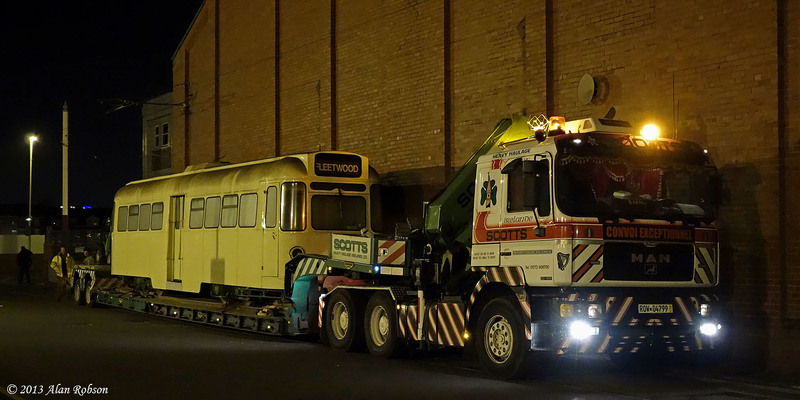 Balloon 715 had already been loaded up the previous evening at the storage yard in Marton, and had spent the night on the back of Scotts low loader next to the tram depot in Blundell Street. Scotts made an early start before dawn unloading 715, and the tram was propelled by the small fork lift truck of BTS into Rigby Road depot just after 9.00am. 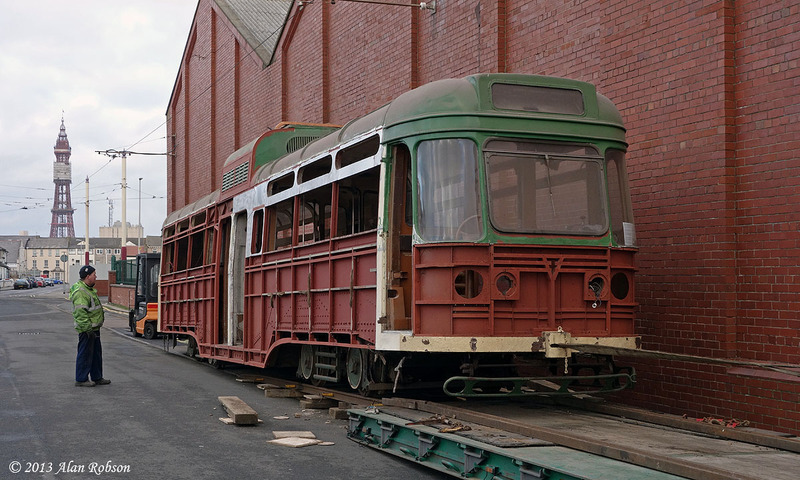 The next tram to be moved from the yard was Brush car 632, and in order to access this tram and Brush car 259, Balloon 704 was dragged across the storage yard by Scotts low loader. Brush car 632 was loaded up and transported back to Rigby Road, finally entering the depot at 14:35. 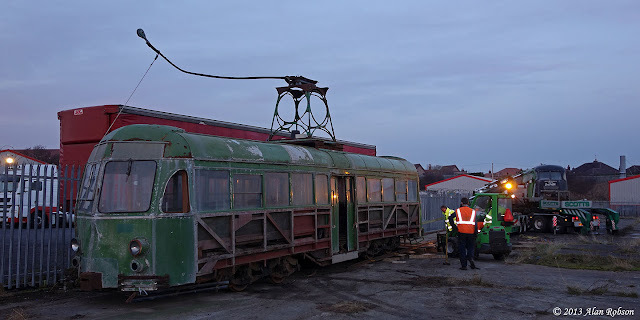 This only left Brush car 259 to collect from the yard, the tram was loaded as dusk fell and arrived back at Rigby Road in darkness at around 6.00pm. 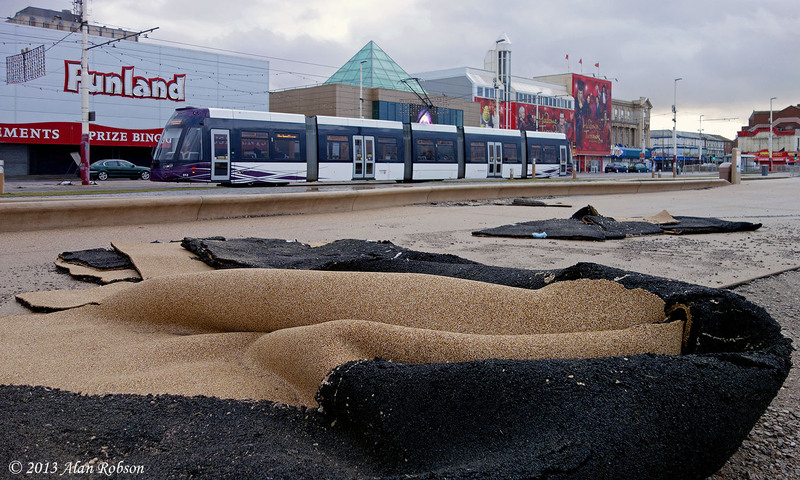 For more photos of the LTT tram moves on 10th December see Blackpool Trams on Flickr. 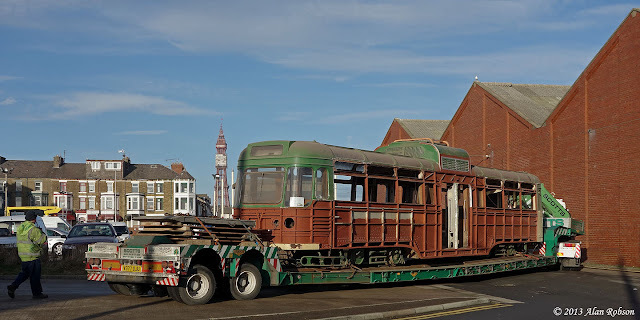 Coronation 663 became the last tram to leave the former Lancastrian Transport Trust premises at Brinwell Road in Marton on 9th December, when it made the short journey to Rigby Road depot to become part of the growing heritage fleet of Blackpool Transport. 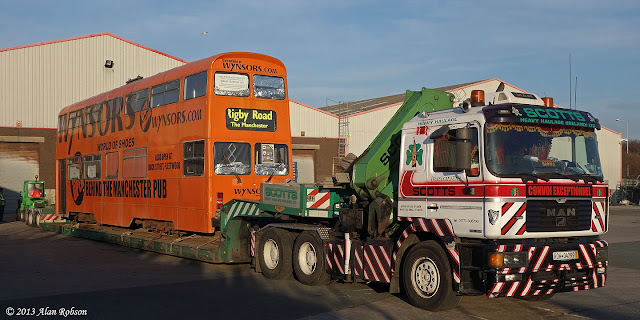 663 had only days to go until a deadline for it to be removed from the former LTT depot (now Heatons Engineering Ltd), so it was with great relief that Scotts Heavy Haulage extracted the tram from the building and transported it the short distance to Blundell Street ready for unloading. Coronation 663 has had a nomadic existence for the last 37 years since it departed Rigby Road for preservation back in 1976, residing at various locations around the country, and even suffering flood damage to the bogies while being stored at Lytham. 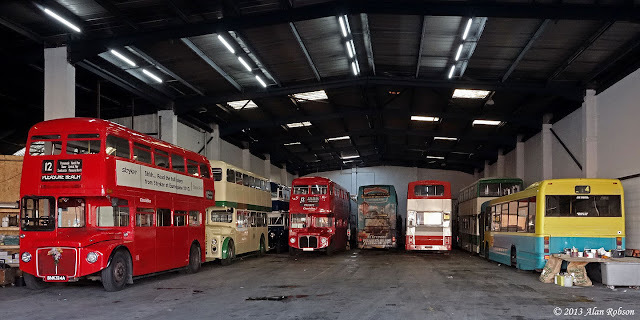 663 will now join Coronations 304 and 660 at Rigby Road depot. 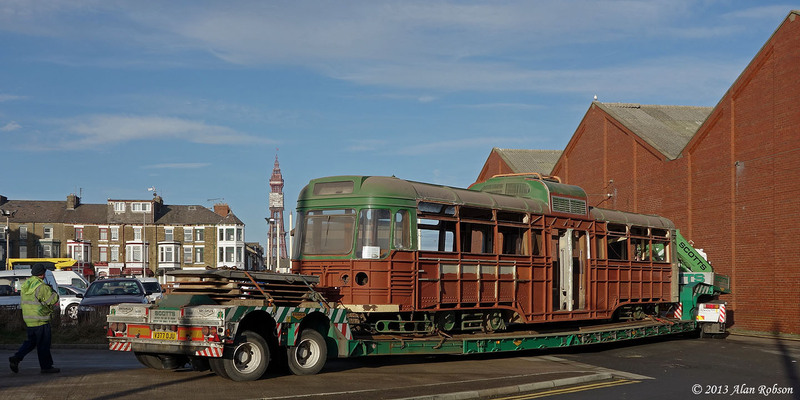 For more photos of 663's move see Blackpool Trams on Flickr. 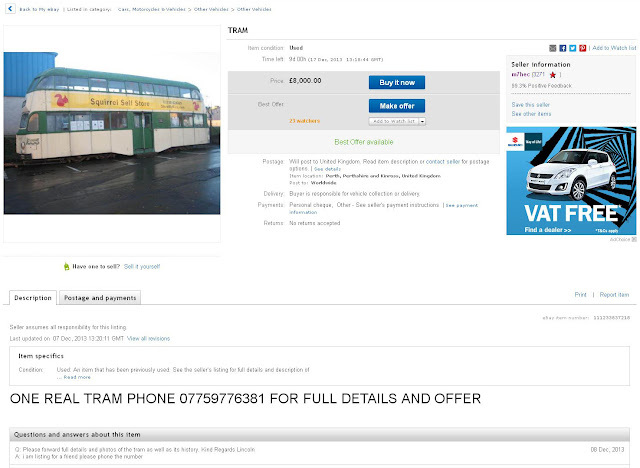 Balloon 716 has unexpectedly turned up for sale on a well known auction site. 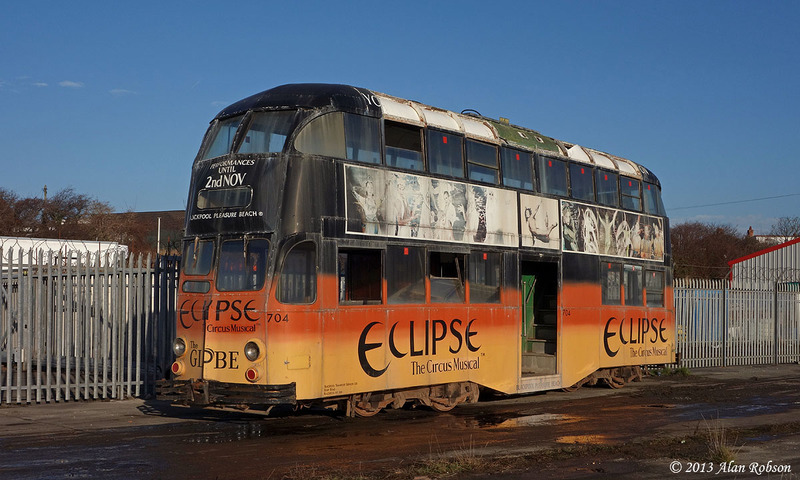 The tram was withdrawn from service in summer 2003 due to corrosion problems with its underframe. 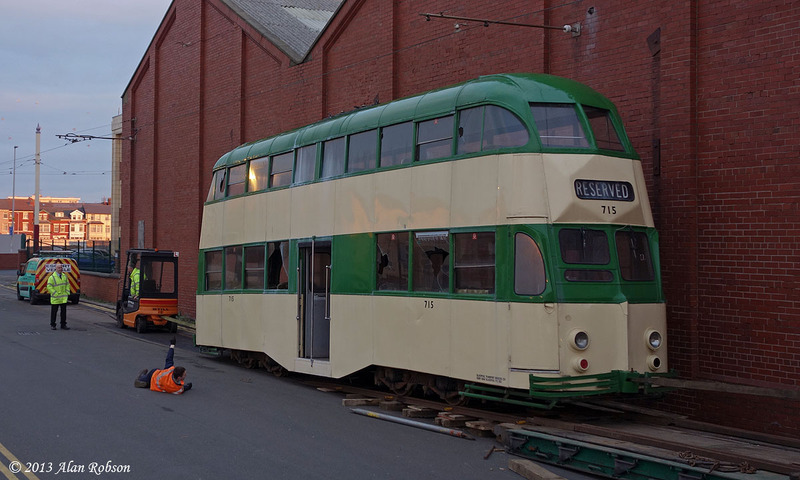 716 was then stored in the depot for several more years, being used as a spare parts tram, before it was purchased by Ptarmigan Transport Solutions of Perth, and transported to Scotland where the intention was that it would be used as a site office. Unfortunately Ptarmigan Transport Solutions has recently gone into liquidation and there is now an urgent need to dispose of the tram, either for reuse or scrap. The asking price for 716 is £8000, although offers will also be accepted. Balloon 716 for sale on eBay on 8th December, the auction end date is 17th December. Get your bids in quickly! 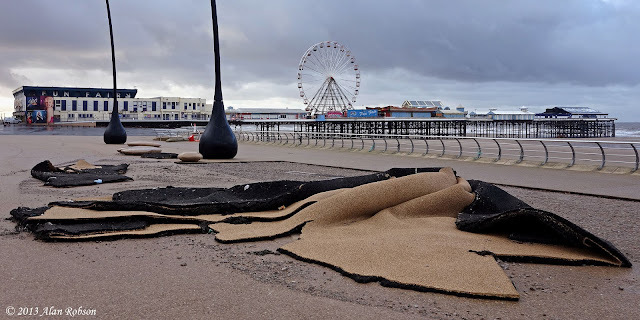 Severe gale force winds together with a high autumn tide caused a tidal surge which breached the new sea defences along Blackpool Promenade on 5th December. 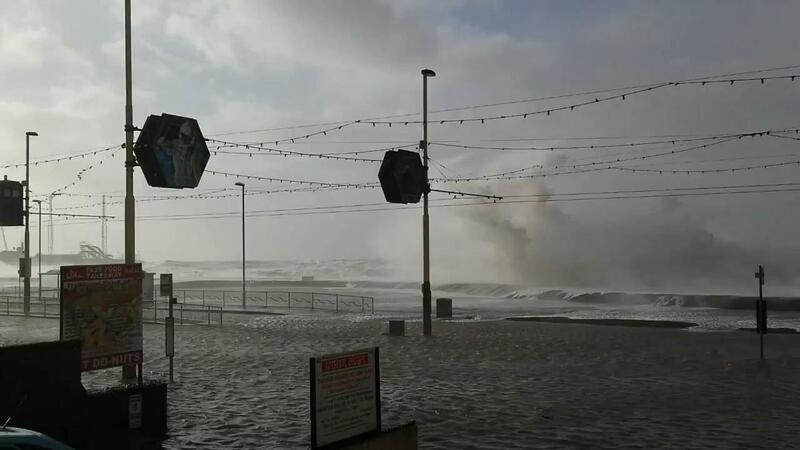 Much of the Central Promenade was completely overwhelmed with water, which covered the road and tramway to a depth of several inches, and was even lapping at the fronts of the hotels on the other side of the carriageway. 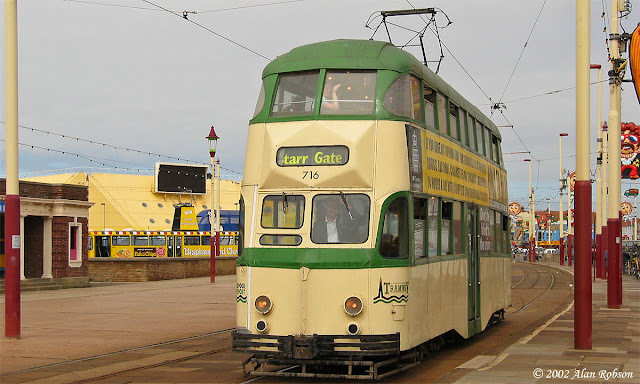 Tram services were curtailed on the tramway south of North Pier, and later in the day they were restricted to the section betwen Bispham and Ash Street in Fleetwood. Neither buses or trams were able to use the Central Promenade for majority of the day. The sea was so powerful that it tore up a large section of paving surface from the new promenade, between Central Pier and the Lifeboat Station, rolling it up like it was a large carpet. 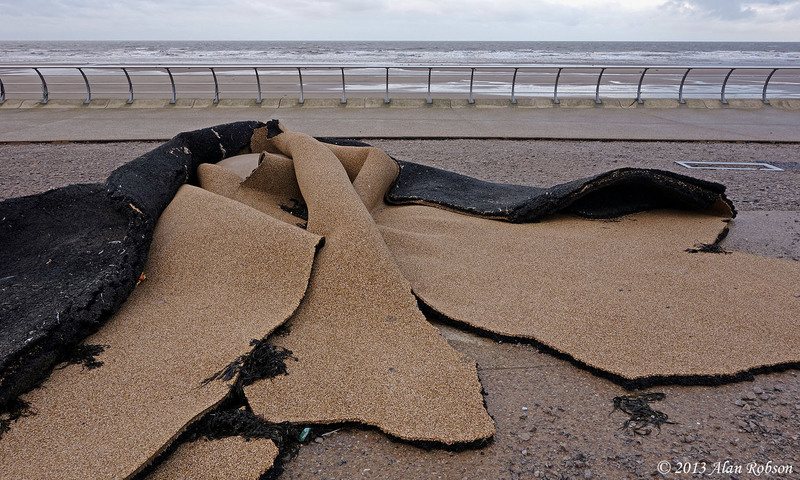 The day after the flood there were still piles of seaweed left in front of Rigby Road depot, that had been washed all the way down Lytham Road and Hopton Road by the sea and into the depot.